â? 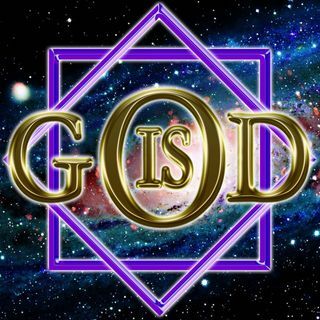 ?The ... See More Name of God is my inheritance.â?? You live by symbols.You have made up names for everything you see. Each one becomes a separate entity, identified by its own name. By this you carve it out of unity. By this you designate its special attributes, and set it off from other things by emphasizing space surrounding it.This space you lay between all things to which you give a different name; all happenings in terms of place and time; all bodies which are greeted by a name. This space you see as setting off all things from one another is the means by which the worldâ? ?s perception is achieved. You see something where nothing is, and see as well nothing where there is unity; a space between all things, between all things and you.Thus do you think that you have given life in separation. By this split you think you are established as a unity which functions with an independent will. What are these names by which the world becomes a series of discrete events, of things ununified, of bodies kept apart and holding bits of mind as separate awarenesses? You gave these names to them, establishing perception as you wished to have perception be. The nameless things were given names, and thus reality was given them as well. For what is named is given meaning, and will then be seen as meaningful, a cause of true effects, with consequence inherent in itself. This is the way reality is made by partial vision, purposefully set against the given truth. Its enemy is wholeness. It conceives of little things, and looks upon them. And a lack of space, a sense of unity or vision which sees differently become the threats which it must overcome, conflict with and deny. Yet does this other vision still remain a natural direction for the mind to channel its perception. It is hard to teach the mind a thousand alien names and thousands more.Yet you believe this is what learning means; its one essential goal by which communication is achieved and concepts can be meaningfully shared.